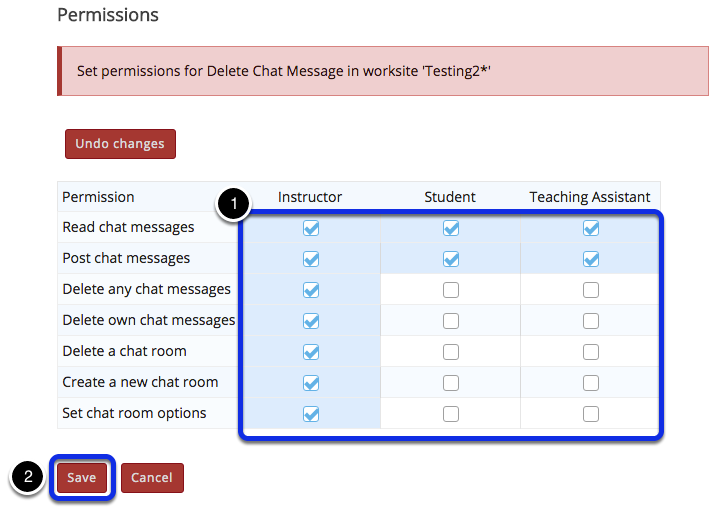 Instructor User Guide ChatHow do I change the Chat Room tool permissions? Prev: How do I clear the chat history? 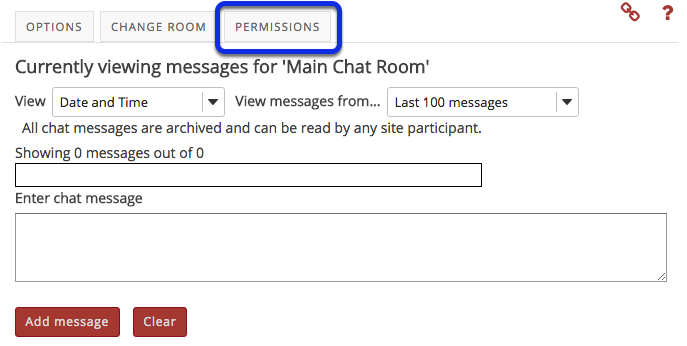 Next: How do I read, post, or delete Chat Room messages?